There are times you just wish you had a knife to handle an application. You might need to cut something while on your duties, but it might seem impossible to have the knife with you each time. That should change when you have the best Every Day Carry (EDC) knife. This is the type of knife designed and built to be great enough to be great for carrying each day and simply deploy it when the need arises. So, which would be the best model right now to use as an EDC model? The Kershaw Skyline knife is one of the best models to work as an EDC knife. 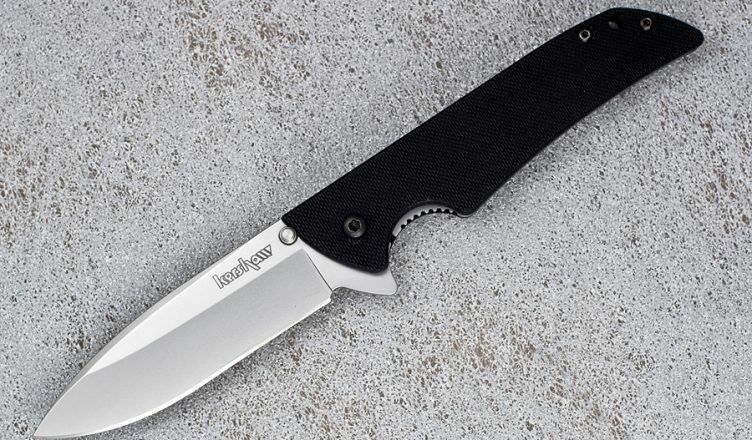 We get to learn more about the knife from this Kershaw skyline review. You will probably want to get one for yourself after reading this review. Since the Kershaw Skyline Knife is seen to be an EDC knife, we get to look the considerations to always keep in mind when buying such type of knife. There is no doubt that you would be looking to save on space, so you be looking for a folding type most of the time. The folding knife will help you with saving on the space and will always easily fit in your pocket. If you find one with a clip, then you can easily hang it in a pocket or the belt. This type of knife would be great when it is within the right size and weight. For a model that you would be carry every day, then the weight has to be low. A great EDC knife should be under 5 ounces for the weight and less than 5 inches for the size. The best part is that with such features, you should get to carry the knife easily without other people really knowing that you have a knife. The edge type of any knife is important as it determines just how many applications it would be suitable for. For the EDC knives, you get three main edges that include full ground edge, full serration and partial serration. The full ground edge is where the blade is straight or curved. You can have the full ground edges for better pushing the cuts. This could include shaving, skinning of an apple, precision work and many others. The full serration blade types would be great for slicing cuts, especially though tough materials. You can use to make the cuts for plastics, wood, rope, or leather. The serrated knives would not be the best at stabbing. ​Many manufacturers would come up with different ways of opening and locking their knives. You need to find a model that features the best opening and locking mechanism. The common opening mechanism would be the one that involves thumb studs or a flipper. The locking mechanism also varies from one model to another. What is important is that a model comes with a locking mechanism to keep the blade from easily getting out of the handle. The Skyline Knife is one of the most popular knives from the Kershaw brand. Being a top brand, then you can expect that the model is going to have some of the top features to make it featured as the top model. It is made to be super slim and weigh less so that it could be used easily an EDC type of knife. You can move around with it without worrying that it would weigh you down. Multiple features exist on the model that should make you intrigued to buying it. Get to learn more about it below. For the construction, the manufacturer made it to be simple, but yet quite the useful one. The model comes with a blade, handle, liner and a clip. All these parts are held together by using the Torx screws known for their great durability as compared to other models. You will always get to keep the knife components together over time. As much as the screws might get loose with time because of using, you can always tighten them easily and keep on using the knife. On overall, the model presents a long lasting durability most people would love to see in a knife. The handle design is what is going to determine the comfort and ergonomics of a knife. For this model, it has a medium traction for the handle. This should make the user feel comfortable using the knife and still have enough traction. The deeper grooves found on the handle makes the accidental slip not something to worry about. There is the flipper design on the model for handling the blade. You should have an easier time enjoying the opening and closing of the blade with such a feature. The flipper on overall improves the ergonomics of the knife to a better level. The flipper design is another important feature that should help with using the knife blade. 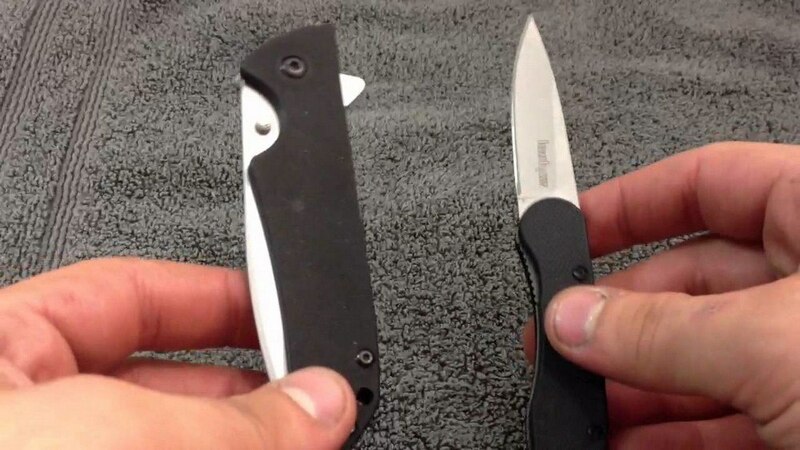 Below is a video showing how to use the flipper found on this Kershaw Skyline knife. Anyone looking to buy the Kershaw skyline knife will be intrigued to pick the best type of knife based on the blade that comes with the model. This part is the workhorse of the model, so it has to be made to be quite great. You would not be disappointed with this model as it is made from strong Sandvik 14C28N steel. This type of Swedish steel is great for high edge retention and maintaining the sharpness too. You should be using the model for long before you can think of sharpening it again. The type of steel used is great for several applications such as chef knives where the knife is supposed to maintain its sharpness for longer. The steel is further great at providing corrosion resistant features. Even if you have to sharpen the blade, you do not have to use a lot of effort to get it done. The pocket clip is something great as a nice addition to the knife. The manufacturer included the clip as an easy way to improve portability. Once the knife is back in the handle, you simply have to mount the knife in the pocket on a belt by using the pocket clip. The manufacturer still made the clip to be strong and unobtrusive. This means that you will continue enjoying the blade for longer without worrying about the clip getting in your way. There are mounting holes on either side of the handle. This allows for the user to decide whether to carry the model with the tip up or down. Another thing is that you can change the location of the clip whether you are right-handed or left-handed. Most people would be using the tip-down approach, as it is safer that way to prevent things from getting caught in the tip or accidentally deploying it even though it is not that easy. The locking mechanism is important for any folding knife. You simply need a model that would lock and hold the blade in position until you decide to open the blade again. The model comes with liner lock mechanism. It is a unique mechanism and often just found on the Kershaw knives. The design of the liner lock works by wrapping on one side of the blade. This design is important to keep the knife weight down. The model easy locks up nicely and tight also to keep the knife in the handle. With the locking mechanism vastly improved, you should easily walk around with the knife without the fear that it would easily deploy when least expected. Anyone who has been looking for a great model that can deliver performance and still fit perfectly in the hand, then you can always opt for this model. Thanks to its size, most people find it as a great fit for them. You still get the best handle with the right amount of textured grip that should get you enjoying using it. The finish also is high quality for a product made in the USA. There is no doubt that you would expect the best looks for such a product and that is actually what you get. You would get to use it more often and still find that the model being among the best knives on the market right now. What is the Best Flashlight for the Money in the Market?